BREC’s Baton Rouge Zoo will host its annual Zippity Zoo Fest on Saturday, April 6 and Sunday, April 7. This is a spring festival that celebrates the Zoo’s 49th birthday! Admission gates will be open from 9:30 a.m. to 5 p.m., and Zoo grounds close at 6 p.m. Regular Zoo admission applies. For more information on Zippity Zoo Fest 2019, please call (225) 775-3877 or visit www.brzoo.org. Our Capital One Pavilion is transformed this weekend into a free Children's Village with giant inflatables! Parents watching their children can also enjoy the adjacent Entertainment Stage and seating area under the pavilion. Located next to our Children's Village, enjoy the talents of groups from across the area, as well as local bands. Stop by the EdZooCation Station for fun and learning! At EdZooCation Station, adults and children alike will enjoy a variety of interactive games to help learn about animal facts, animal conservation and pollination. You'll also get to meet some of our education department's animal ambassadors! Hear from our Zoo Keepers, ask questions and learn how we care for our animals daily. What could be more fun than spending the day with tigers, bears and flamingos? Having one painted on your face! Visit our face painting and temporary tattoo station to experience the Zoo in style. $1 per face painting/tattoo. Visit our education building to see the winners of our photo contest. Sponsored by The Advocate. While there, you can also enjoy a piece of free Zoo birthday cake! Visit the Baton Rouge Chapter of American Association of Zoo Keeper (AAZK). Stop by to talk with our Zoo Keepers, learn about the amazing things they do for our animals here & globally and take your chance at their ring toss game. $1 per try; all proceeds benefit AAZK philanthropy projects, continuing education and professional development. With the support of our partner organizations around the city, the Zoo will be filled with various activity booths! NEW THIS YEAR: the Zoo is partnering with the Junior League’s Diaper Bank. Each guest who brings any unused, disposable diapers for donation, will be entered to win a Friends of the Zoo Household Membership! BREC’s Baton Rouge Zoo is a place where people connect with animals, including tigers, giraffes, rhinos, otters and alligators. 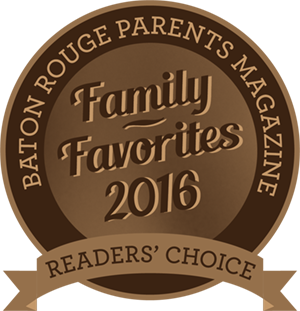 The world-class Realm of the Tiger, Flamingo Cove, Giants of the Islands, Safari Playground, L'aquarium de Louisiane, & KidsZoo exhibits offer fun and education for all ages.